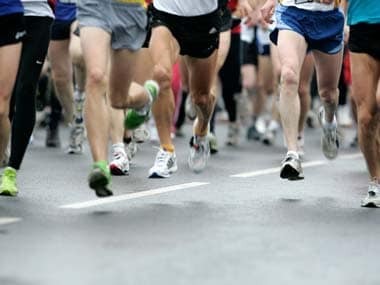 Mumbai: The ever growing running community in Mumbai already calls them the 'Dirty Dozen'. And this story of 12 men from ordinary to extraordinary is already becoming one of legendary proportion. 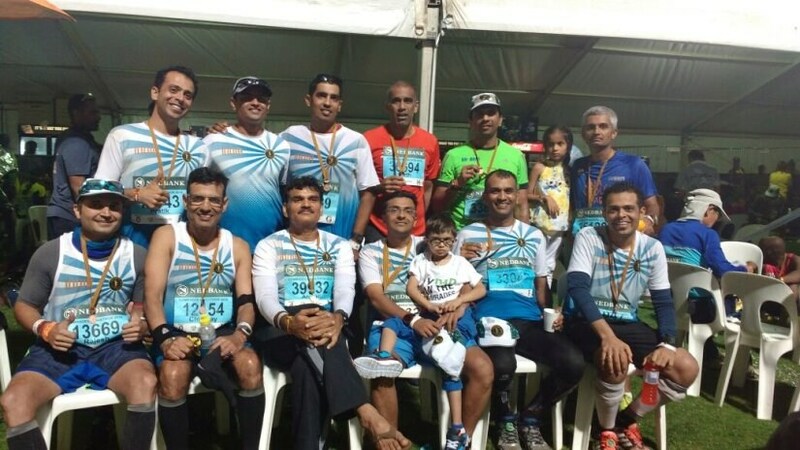 12 enthusiasts from the running group Striders achieved a major milestone in May this year — running together in the Comrades Marathon — one of the world’s oldest and largest ultra (an ultra is any distance more than 42.195 kms). The stupendous success of this group is now documented in a book titled — ‘Striders At Comrades — One for twelve, twelve for One’ (Study Circle Publications) authored by of their fellow runner Sharmila Joshi. 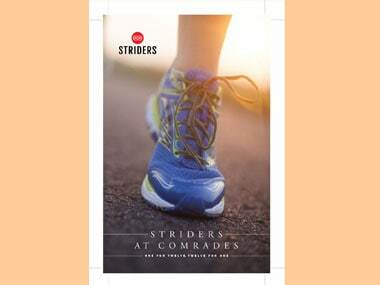 Cover image of the book ‘Striders At Comrades – One for twelve, twelve for One’. Capped for 23,000 runners, who are able to complete an officially recognised marathon (42.2 kms) in under five hours, the Comrades Marathon (87-89 kms) began in 1921 with 48 registrations out of which 34 elected to run. Said to embody camaraderie, selflessness, perseverance and ‘Ubunttu’ (human kindness), it is a run in the KwaZulu-Natal Province of South Africa between the cities of Durban and Pietermaritzburg, marked by the big five set of hills. With 6-7 cut-offs, runners have to complete the marathon under 12 hours. From a mere one runner in 2009, India had 76 runners in this year’s Comrades Marathon and 12 came from a single running group — Striders. 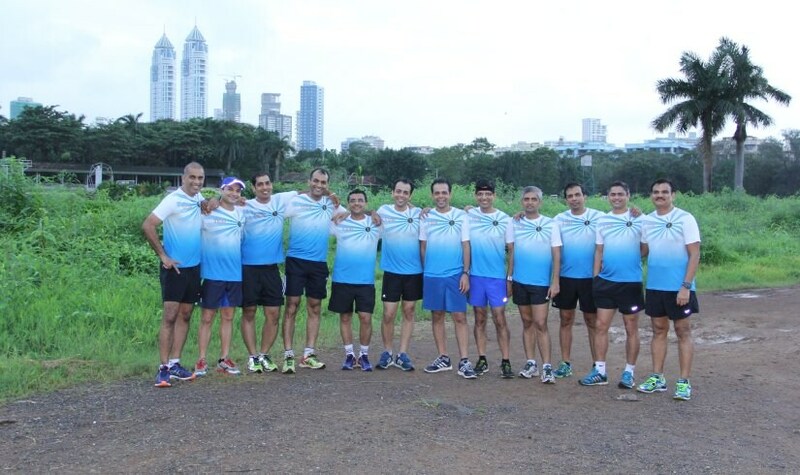 All the 12 runners who took the ultimate challenge come from the close-knit Striders Shivaji Park centre in Mumbai. They are white-collared professionals, bonded over the passion to run — Dr Anand Patil (a veteran marathoner), Kashyap Mody (a CA working in Reliance Industries), Ashish Chandak (president, Management Excellence & Governance at Yes Bank), Chinmay Sengupta (oldest man in the group at 56, COO, ICICI Foundation), Garth Viegas (dark horse in the gang, Global Insights Director, Tata Global Beverages Ltd), Hardik & Pratik Parikh (twins who work as CA’s with KPMG India as associate directors), Jignesh Barsara (entrepreneur who set up AlphaMD — a lifesciences and analytics consulting company based out of Mumbai and USA), Manish Jain (strong runner, partner in family-owned business in Rajesh Pharma), Nikhil Pednekar (running global marathons since 2000 and entrepreneur owning chemical manufacturing unit Nikita Transphase Adducts Ltd), sports aficionado Rajesh Bhanushali, a GM with Teamglobal Logistics Ltd and coach Deepak Londhe, one of the founders of Striders (along with coach Praful Uchil) and the group’s coach par excellence. Regulars at the Standard Chartered Mumbai Marathon (SCMM), friendships and bonding of the like-minded guys happened soon with everyone eager to do more and more. Chinmay Sengupta aka Dada ran SCMM half marathon in 2013 at the age of 52, and within 40 days he ran two more half marathons. "There was some kind of kick in running — a sense of rediscovery. 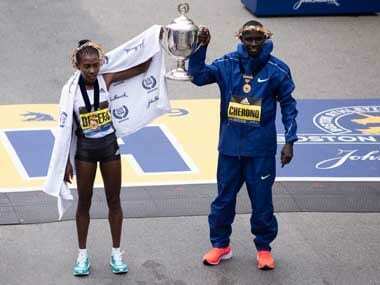 I ran full marathon in SCMM last year and decided I was going to attempt the Comrades," he told Firstpost. Kashyap Mody, on the other hand, equates running to meditation. "For that one hour, nothing else matters. It is one sport, which you can start at any stage of your life, you can compete with yourself, and you don’t need a partner. Of course, once you get into running, the social life takes a backseat, because one wants to sleep early on a Saturday night to get up early to run on Sunday," stated Mody. The turning point came with Mody running the Comrades last year. "We tracked his race, as an onlooker itself it was a super experience. 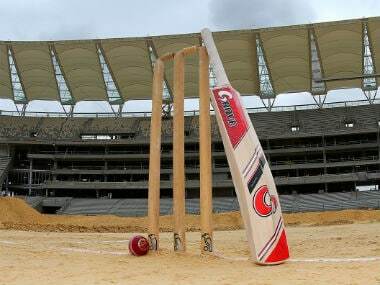 And within two months we all registered," explained Sengupta. Working hard to build their mental and physical strength, the group started longer runs over the weekends in Lonavala covering around 65 kms to acclimatise to the hilly terrain of South Africa. Leading sports therapist Nilesh Shah, who worked with the runners, said, "The biggest challenge was to keep all of them injury free before the run and so I almost saw all of them each week of their training schedule for massages and stretching sessions. All complaints were addressed with a practical solution. Also, to run at this level, it is very crucial that runners not only have good family support but strong mental fitness. I had to counsel the family of one runner that he was indeed in full capacity to run this marathon." Interestingly, Shah pointed out that it is observed that almost half way through; these athletes use their mental fitness (read ‘strong will power’) than physical fitness to complete the race. "The success of this Striders group is overwhelming because these guys lead busy corporate lives and yet take time out to dedicate themselves to a run of this magnitude. And they complete the run without any injury. This is great stuff," added Shah. When the D-day came — 29 May, 2016 — the entire Striders Shivaji Park community tracked the race using sports apps, cheering every milestone and celebrating their joint success. "We started tracking these guys from 4.45 am as we were getting ready for our run in Mumbai from the NCPA. The Comrades began at 9 am IST and we tracked it from there for 12 hours more. There were 2,000 plus messages on the WhatsApp group and over 150 images, some of which I have included in the book. This is interesting as that they could not see each other at times, but we could always see the main group clustered 500-800m apart for the bulk of the race. That gave me the first idea of a book. Only Londhe could not complete the race as he was not able to train sufficiently due to ill health. But with all this data, I knew that the book was on!," exclaimed Sharmila Joshi, an investment advisor by profession, a veteran trekker and member of the Striders family, running for over 3 years. Post race, Joshi interviewed all the runners exhaustively and the book carries the group’s training program in detail. "The book is the ultimate guide to anyone who wants to run this race. 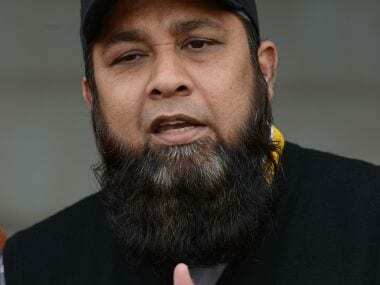 It is not a mere documentation of this effort, but a story of deep bond and friendships developed over running — of family support and celebration of each other’s success," stated Joshi. And the excitement continues. As registration for the toughest marathon in the world opened for 2017 race, 20 Striders are already in. With 30 November being the last date, this time around the number might well go higher. Smita Deshmukh is a senior journalist and communications expert based in Mumbai. You can follow her on twitter @smitadeshmukh.